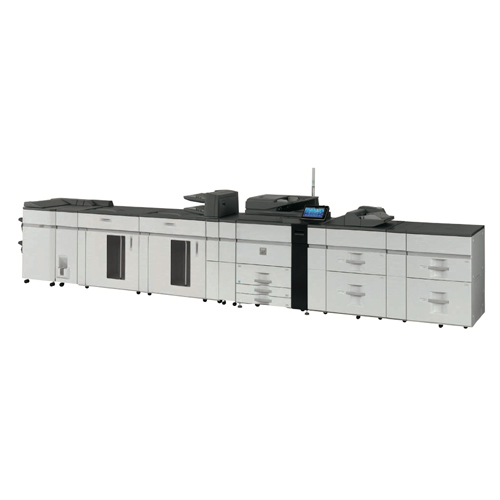 Sharp recently launched two high-volume color A3 machines, the MX-6240NSF et 7040NSF. What's more, in a clear focus on renewing Sharp's production range a further three b&w A3 machines (90, 105 and 120 ppm) are rolling out in the next months. The MX-M904, M1054 et M1204 will replace the equipment which has been out there since 2007 (MX-M850, M950, M1100) and will offer new features such as a new interface, a new overall design and new finishing options (including a 5,000-sheet stacker). The full technical specifications of these new machines will be on Your DMO in a few weeks!